Reporting requirements for MIPS and APMs are complex. Legacy EHRs are not a complete solution. 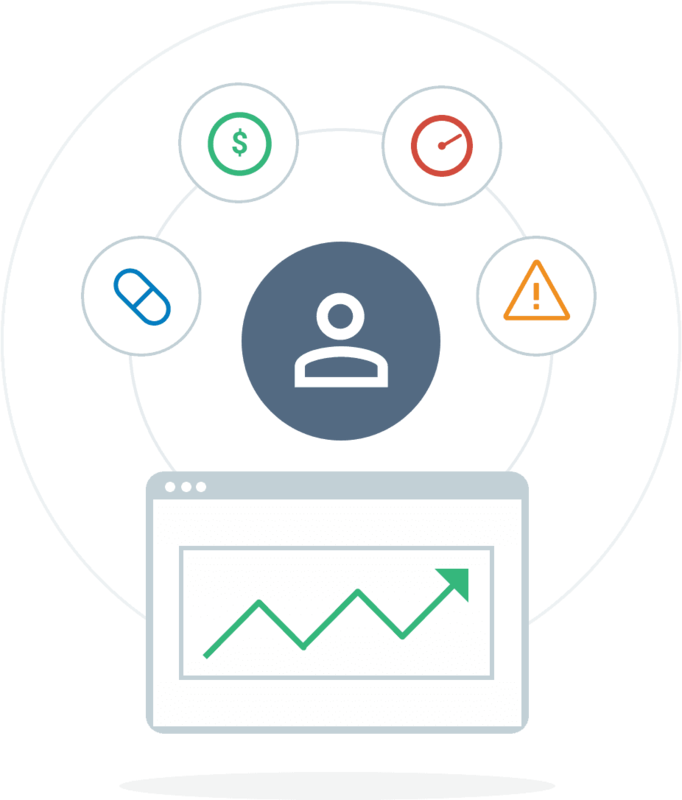 Integra Connect's population health analytics and reporting solution enables oncology practices to gain near real-time visibility into quality and cost performance, then efficiently report to required registries. Accountability for episode cost and quality requires transparency into the whole patient - across all co-morbidities and care settings. Integra Connect creates a holistic patient view by aggregating healthcare data from disparate clinical and financial data sources through our Data Transformation Exchange (DTX) - spanning claims, EHRs, labs, prescriptions, hospital admissions and more. Using advanced business logic and rules for data transformation, DTX then harmonizes the ingested data, reducing redundancies and aligning the data longitudinally around each patient. DTX leverages rules-based identity matching techniques to align patient records based on key identifiers, such as patient name and date of birth, then consolidates the records to create a single, holistic patient view. Next, our advanced population health analytics and reporting suite, Integra Connect Intelligence, kicks into gear to empower oncology practice leadership to measure and benchmark performance, identify outliers and address impactable cost drivers in support of practice transformation initiatives. Automatically collect and report on the required clinical and financial performance measures at the oncology practice, site, provider, and patient level to maximize improvement opportunities under value-based payment models. Oncology practices can also access Integra Connect population health services that can scale from short-term consulting to long-term outsourced staffing solutions and enable critical operational functions.